Men’s fashion brand CASAMODA is entrusting the fit-out of its new flat goods warehouse in Germany to automated solutions provider, TGW. CASAMODA Heinrich Katt GmbH & Co. KG is a global fashion and lifestyle company that processes and checks approximately 3.5 million items per year at its headquarters in Oldenburg. Around 16,000 garments are shipped daily to customers via specialist retailers, shopping mall groups, CASAMODA’s own retail outlets and online. TGW is responsible for implementing an automated mini-load warehouse consisting of 10 aisles for cartons providing storage of flat goods. When complete, the shipping will be handled from the new automated warehouse in connection with a hanging bag sorter. 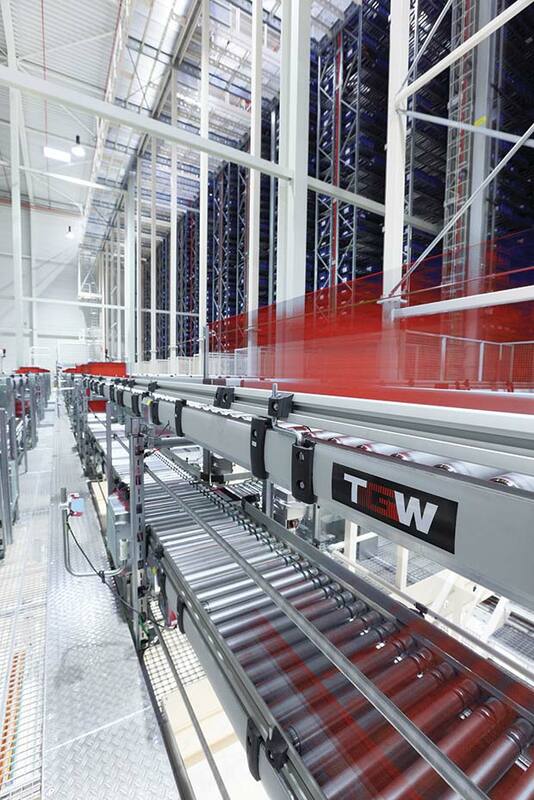 Inside the distribution centre, TGW will install a complete automatic storage and conveyor system with integrated workstations and controls. For the aisles of the warehouse, TGW will supply 10 Mustang Evolution automated storage and retrieval system machines (AS/RS) each with Twister load handling devices. An extensive conveyor system will connect the warehouse to six picking working stations where hanging bags will be filled. After the batch building, these hanging bags will be unloaded at the six TGW packing workstations; the goods will be placed in shipping cartons and transported to the goods-out area via the conveyor equipment. The installation is scheduled to go-live at the beginning of 2014.